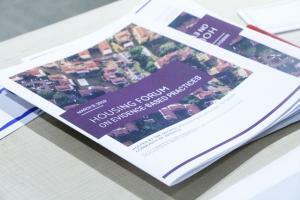 Presentations from the Ontario Housing First 2019 Forum on Evidence-based Practices now available! 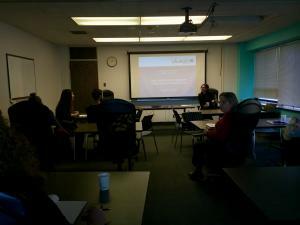 On Friday March 8th, the Ontario Housing First Regional Network Community of Interest (OHFRN-CoI) hosted the second annual Ontario Housing First Forum. 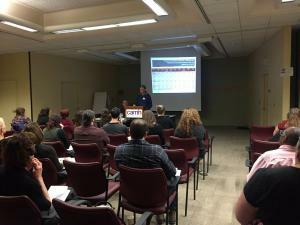 This year’s theme highlighted Evidence-based practices. 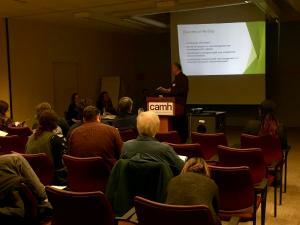 Over 80 participants came together to learn, share resources and experiences with implementing Housing First in their communities, and included agency representatives, researchers, persons with lived experiences, members of the CoI, and representatives from multiple sectors implementing the Housing First model in Ontario. Link sectors involved, including mental health and housing, and other sectors. 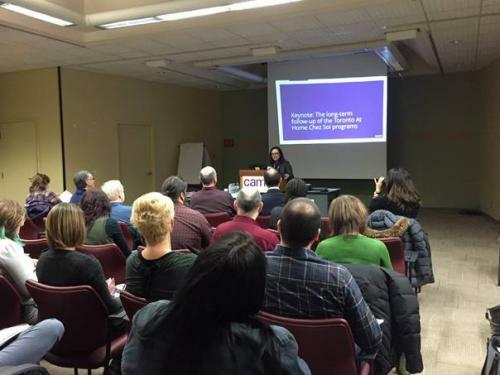 The day kicked off with opening remarks from Branka Agic, Director of Knowledge Exchange for the Provincial System Support Program at the CAMH. 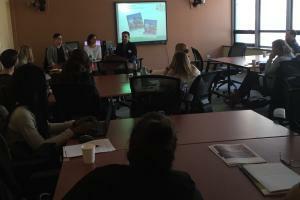 OHFRN-CoI Co-leads, Tim Aubry and Geoff Nelson, then provided an overview of the CoI and work to date. 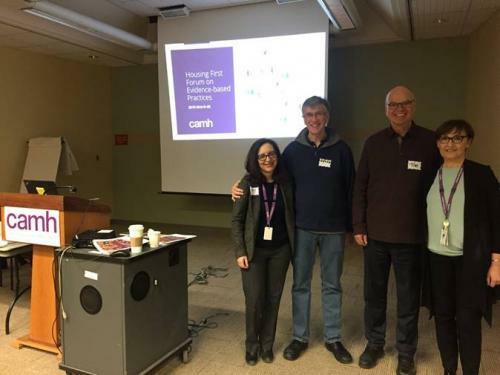 They also took a moment to remember and acknowledge Dr. Paula Goering, CAMH, Research Lead for At Home / Chez Soi Demonstration Project. View the full program, presentation abstracts, presenter bios, and contact information. 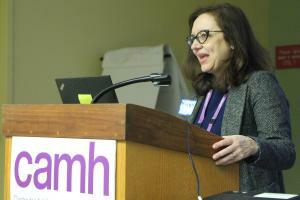 Keynote presentation: The Long-Term Follow-Up of the Toronto At Home/Chez Soi programs, by Dr. Vicky Stergiopoulos, Clinician Scientist and the Physician-in-Chief at CAMH. For more information about the OHFRN-CoI and additional resources, click here. 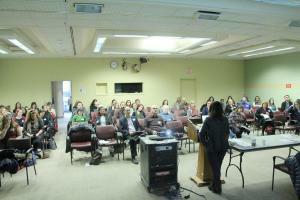 Check out the first annual HF Forum presentations here. 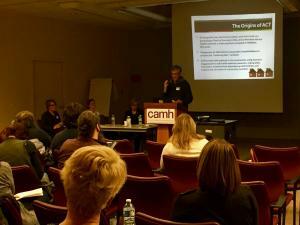 The piloting of a collaborative fidelity assessment of Housing First (HF) programs is being initiated by the EENet’s Ontario Housing First Regional Network - Community of Interest (OHFRN-COI). 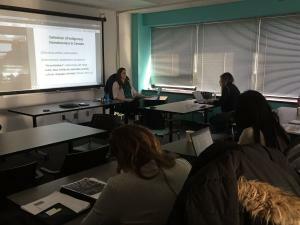 With the objective of promoting high quality implementation of the HF model, the OHFRN-COI will be working with four community agencies delivering HF over the next eight months to train their personnel on how to conduct HF fidelity assessments and participate in an exchange in which two agencies cross over and conduct fidelity assessments for each other. Drs. Geoffrey Nelson and Tim Aubry, co-chairs of the Ontario Housing First Regional Network Community of Interest, and Dr. John Maher, MD FRCPC, President of the Ontario ACT Association, submitted a letter to the Minister of Minister of Health and Long-Term Care, and the Minister of Municipal Affairs and Housing, regarding Assertive Community Treatment (ACT) and Housing First in Canada.